Hello and thanks for taking the time to see our company and to meet Ronald (my business partner) and I. I would like to start off by sharing with you some of our background and then about our company’s mission. Let’s start with me; I was born and raised in the Lynchburg/Forest area. I was a graduate of Jefferson Forest High School and a very proud graduate of Virginia Tech. I’ve been a member of the Home Builders Association of Central Virginia since 1992 and have served on their Board of Officers since 1994. I have been elected President of the Home Builders Association of Central Virginia twice. I have also served as the State Regional Vice President for the Virginia Home Builders Association. 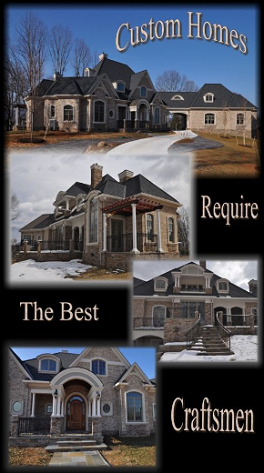 I’ve won the prestigious Home Builders Association of Central Virginia, Builder of the Year award four times. In my spare time I enjoy salt water fishing, Virginia Tech football and spending time with my wife Xuan and our baby girl Taylor. My business partner, Ronald Sanderson, has been with me since the inception of Central Va. Construction in 1992. Ronald was born and raised in the Forest area and was a graduate of Jefferson Forest as well. Ronald is a carpenter by day and a farmer by night and weekends. He is one of the hardest working and honest people you will ever meet or have the pleasure to know. 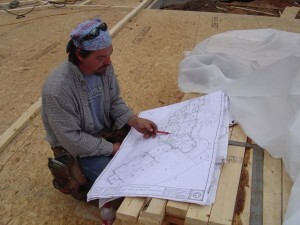 He is an exceptional craftsman and will always build a home without cutting any corners. There is something about Ronald’s country background that people like and they really enjoy working with him. When it is time to hand over the keys, most of our customers are sad to see him leave. Both Ronald and I have come up through the ranks as actual carpenters. We both started out as carpenter helpers, progressing to carpenters and then to foreman of crews, and then finally to starting Central Va. Construction in 1992. “Sawdust is in our blood” as some would say. We are hands-on builders, with real craftsmanship to back it up. Over the years I have heard too often of other builders and their clients having troubling project issues which regrettably were not resolved well. I feel a lot of these problems are due to poor planning and communication on the builder’s part and yes, sometimes on the part of the client. Ronald and I approach building as a team effort, which includes the client’s involvement as much as possible. We work with our customers at every level of the construction phase. We want you to come by the job everyday (if possible) and tell us what you think. Your youngsters can see the heavy construction equipment being used up close and meet our very friendly crew. Building a home can be fun, home owners get to do a lot of shopping! When choosing a builder, too often people jump on the lowest price. Please remember, especially in this business, you get what you pay for. Ronald and I strive to give a fair price and make a fair living. We provide a warrantee for our projects and work with our customers for years after a project is complete. If you want a builder that will be around long after the home is finished, we are your team! This is just a small introduction to what we can do for you. Please take the time and scroll through some of our projects and see for yourself. Keep in mind that this is just a small sample of our work over the years. If you can dream it, we can build it. Ronald and I look forward to working with you. If you’d like to talk about a project, give us a call.